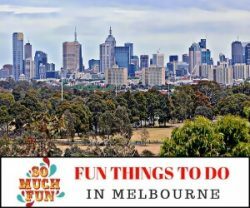 Travel + kids + caravan = Awesome fun! 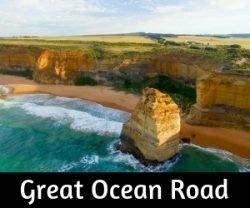 Winter travel in Europe with a caravan was not an actual plan when we left Australia on Christmas Day. Winter travel was planned, Europe was planned… the caravan was an after thought. What a great after thought it was. 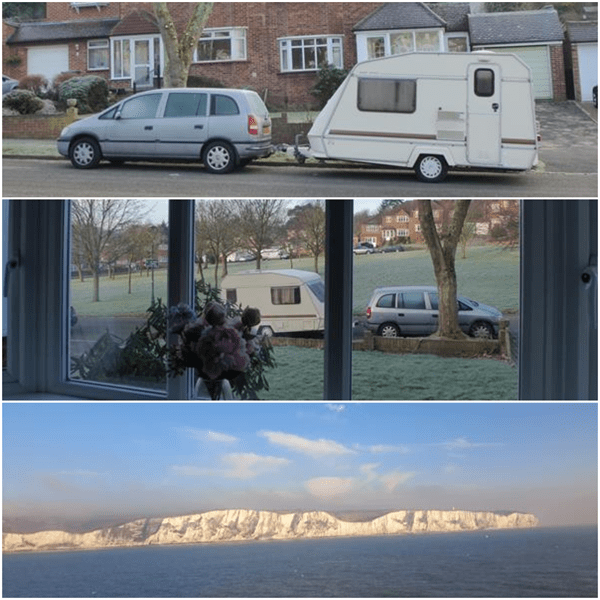 Buying a caravan in the UK is relatively easy. 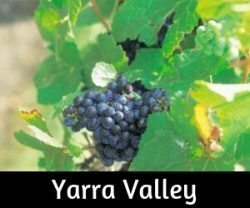 They tend to be cheaper than in Australia, generally lighter in weight and there is an assortment to choose from. I adore the vintage caravans and would love to have acquired one, check our Pinterest board for some examples of totally cute caravans. Buyer beware when purchasing a caravan as ‘damp’ or ‘water damage’ can be a major issue. 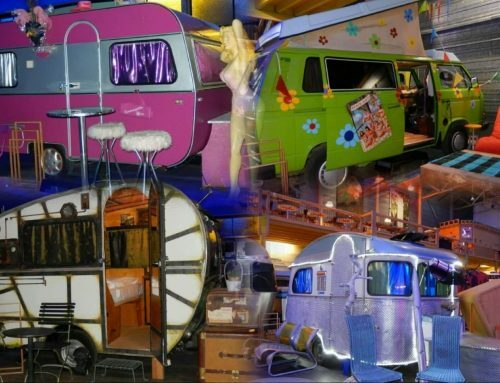 Caravans do not have to be registered or inspected in the UK and dodgey caravan sales are rampant. Happily, the car we bought happened to have a tow bar on already and the caravan idea took hold a couple of weeks later. Much searching on Gumtree UK and working out the pitfalls of buying a caravan eventually led us to ‘Priscilla’. A 12 foot – 2 berth wee caravan – weighing in at just under 600 kgs, easy for the Zafira to tow and simple to take off to turn around by hand when stuck on a no through road or a road blocked by snow with no room to manoeuvre otherwise. Priscilla, our home for the next few months. The very first night Priscilla joined the family, we ‘camped’ outside our friend’s home in London, much to their dismay! Below zero with a super frost, but we did not even need a heater on with the wonderful winter duvets/doonas we had bought. The white cliffs of Dover bid us farewell on the crossing to Calais, beautiful blue skies that were not to be seen again for a few weeks or so… Not that it bothered us at all. For the majority of our 3 months in Europe we ‘free-camped’ in our caravan at truck stops, outside friend’s homes and in laybys with other happy campers. Having an ensuite on-board, gas cooker and a bucket-full of enthusiasm – we were self-contained. Eating was cheap as supermarkets were easy to find. The biggest advantage was having the freedom to stop and start where we pleased. Around almost every bend a spectacular vista would open up, demanding a cuppa stop. Driving in winter needs to be carefully considered, tyres and snow chains are legally required in some countries during winter. The AA has a comprehensive advice page, well worth reading if you plan to do a European holiday in winter. Links in their page go to articles about snow chain fitting etc. 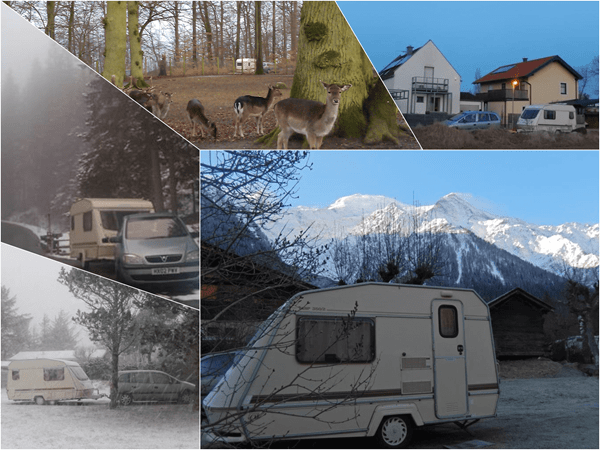 Many caravan and camping parks close during the winter season. Check prior to arrival if a campsite is open or not. 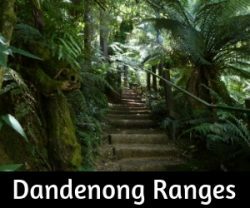 An excellent resource for camping sites is on the UK-Sites Website. 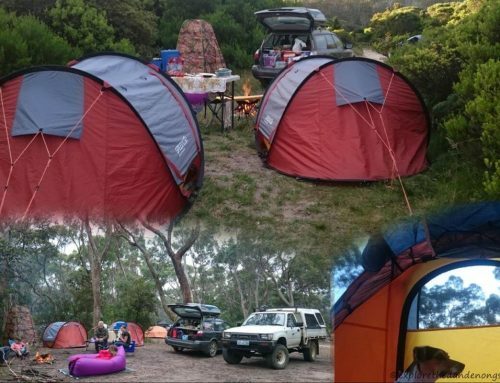 Plenty of camping sites are open during winter, though, especially the ones by major cities or ski fields. 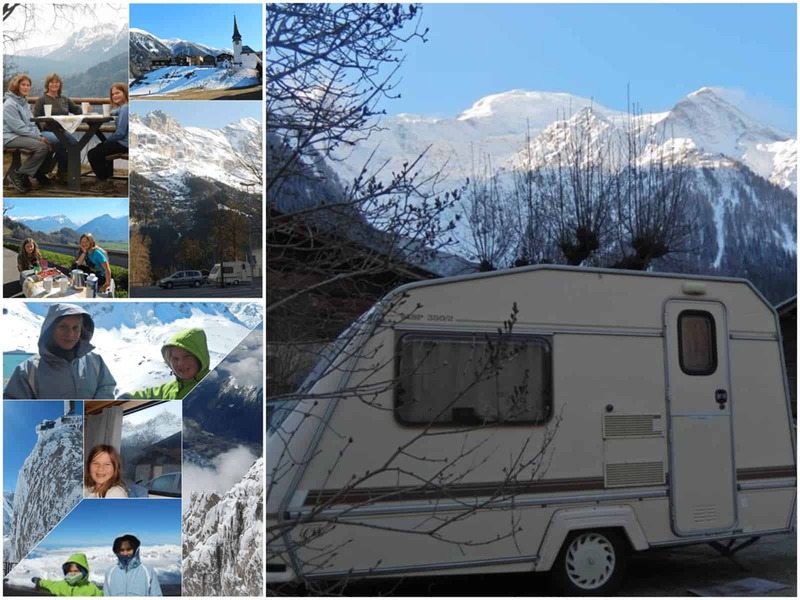 Lots of people take motor homes to the ski fields, camp-sites are well set up with heated facilities. 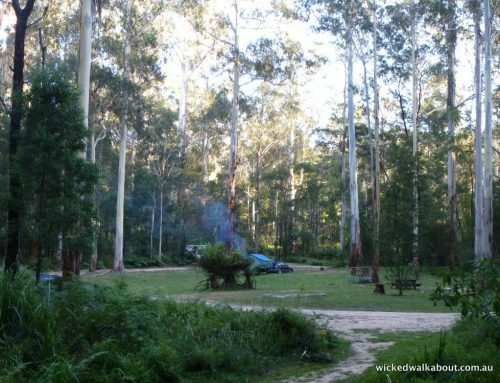 Some fabulous camp areas were found along the way, we were fortunate to have a few friends to visit and pull up outside their homes. Second-hand ice skates brought all the way over from Australia, meant we could make use of the many free ice-skating rinks set up during winter in Europe. Copenhagen was amazing as we parked with the caravan about 100 feet away from the skating rink. 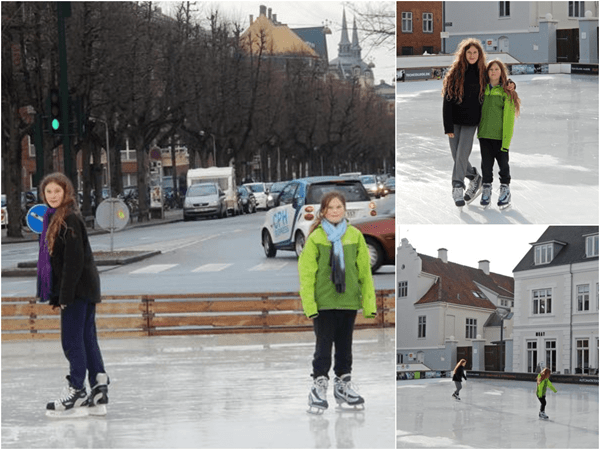 School holidays were over and the girls had the skating to themselves mostly, spending hours on the ice at a time. Brilliant value, considering they were always free of charge. 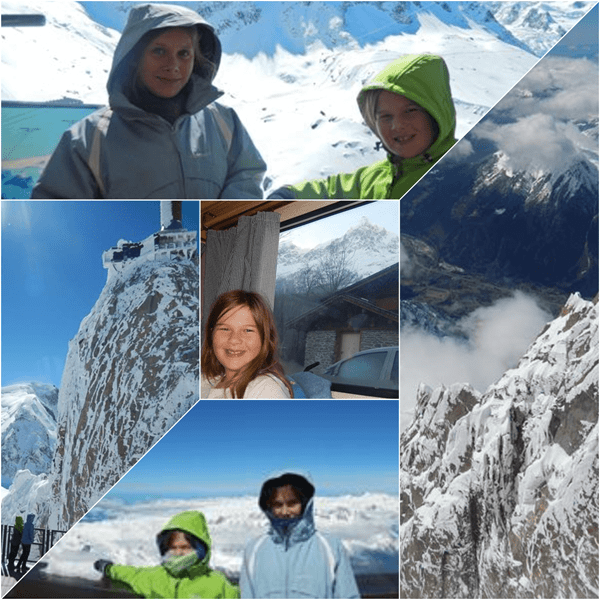 Amy’s 10th birthday, we camped in Chamonix and rode the 20 minute cable car lift to the Aiguille du Midi: 3,777m with a 360° view of all the French, Swiss and Italian Alps. From the summit terrace, we had superb views of Mont Blanc. It was freezing up there, Amy’s lips turned blue with cold – what a way to celebrate the first decade birthday of her life. Oberalp Pass by car transport, drive on drive off. 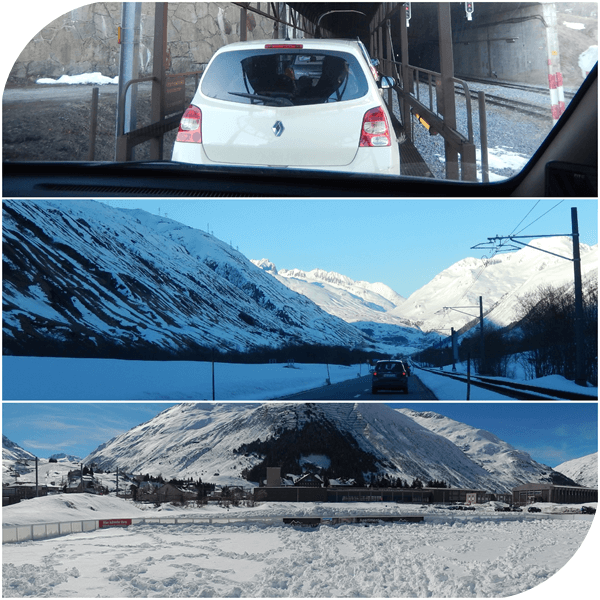 The pass is closed during winter months and the train is the best way to reach Andermatt. It passed through a series of tunnels and then we drove off the carriage and into brilliant, late afternoon sunshine. Andermatt was a short drive away where we stayed two nights in a large parking lot, right beside the closed, ice skate rink. The girls played in the snow till well after dark, finally returning to the little caravan when they were cold and hungry. 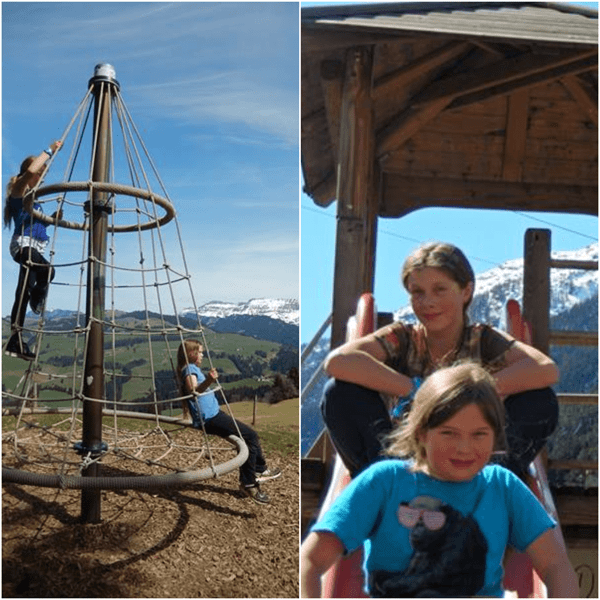 Late winter and plenty of playgrounds were found along the way. 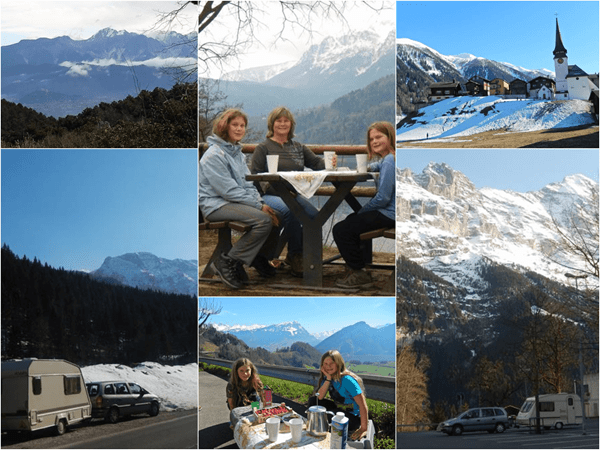 Fabulous alpine views, plenty of exercise and a good reason to stop for a cuppa, again. 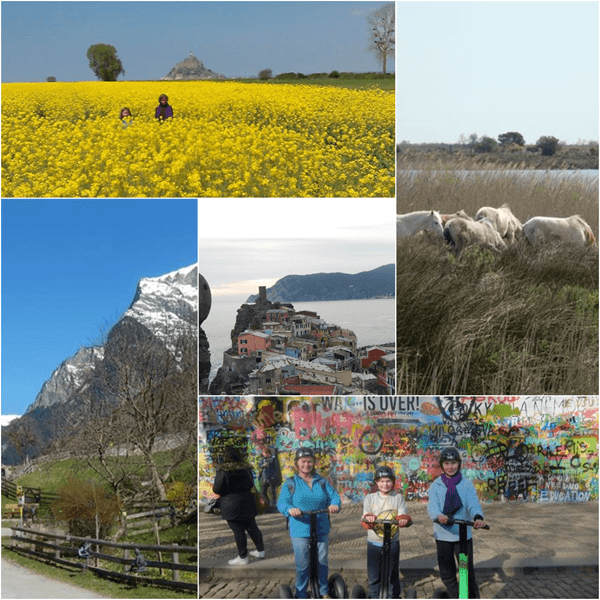 Our winter travel through Europe encompassed some wonderful places including Denmark, Prague, the Cinque Terre, Ponies of the Camargue in France, Paris, Heidi Alps and Mont Saint Michel. Towing a small caravan is easy, fun and economical as far as accommodation is concerned. Hello..!! Thanks for sharing your experience with us, it’s really a great post. According to me the least planned trips are the best ones, so that yours. Your idea of renting CARAVAN was superb. And yes belated happy birthday to your daughter Amy. That’s quite adventurous, can’t imagine doing that in winter with kids. Must have been a great experience though and it’s definitely an unorthodox tourist experience…the skating in Denmark must have been cool. And I see you made it all the way to Prague (on those dreaded Segways!). It was great fun, no set plans. A few friends to visit. If I had not wanted to take my daughter to Disney Paris for her 10th, we would have headed for Budapest… alas, her birthday was Easter Monday, so we did not get there as it would have been too busy. Chamonix was an awesome alternative! Segways… I will confess to having a love-hate sort of relationship with them… fun though.